The public conveniences across the Island were originally run by the Isle of Wight Council. In recent years, in order to save money, the Isle of Wight Council approached Town and Parish Councils to request that they take on the cleaning of the facilities in their areas. 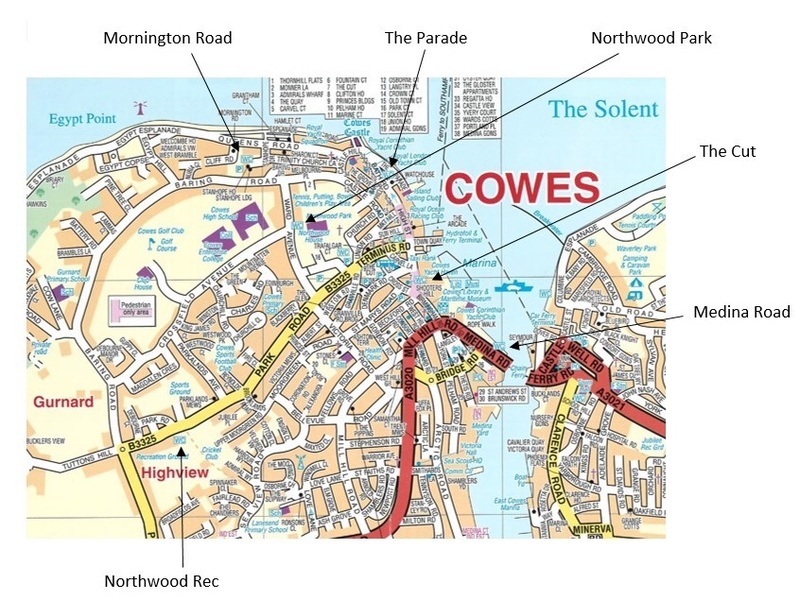 In 2016 Cowes Town Council agreed to take over the cleaning of the 5 public conveniences in the town, along with those in Northwood Park. 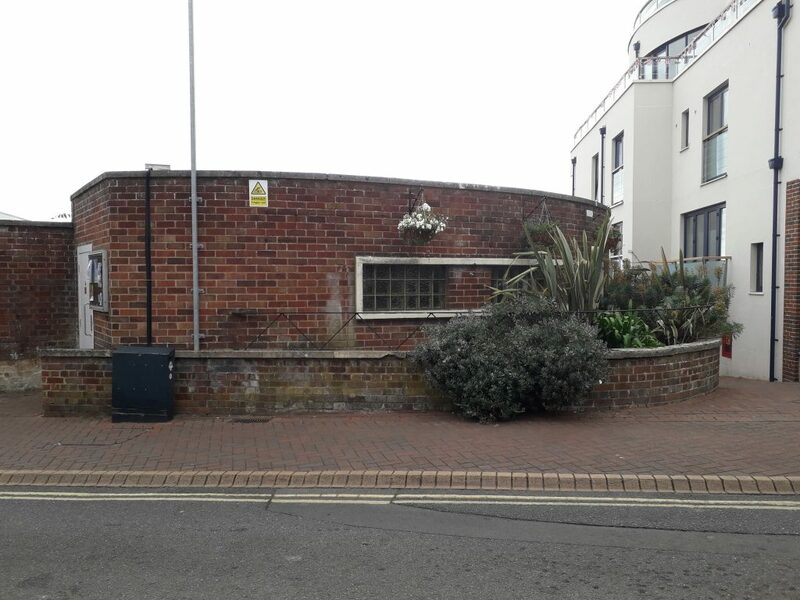 The Isle of Wight Council then made further requests for Town and Parish Councils to take over the ownership of the public convenience buildings. Transfer of the freehold of the public conveniences at The Parade, The Cut and Mornington Road transferred to the Town Council in 2017. 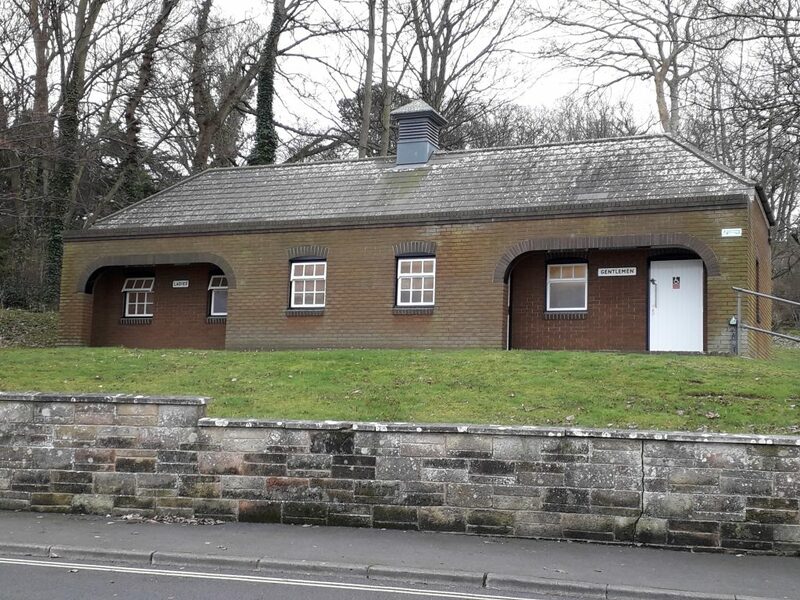 The Town Council leases the public conveniences from the Isle of Wight Council at Northwood Recreation Ground, and leases the ground floor of the building from Southern Water at Medina Road. 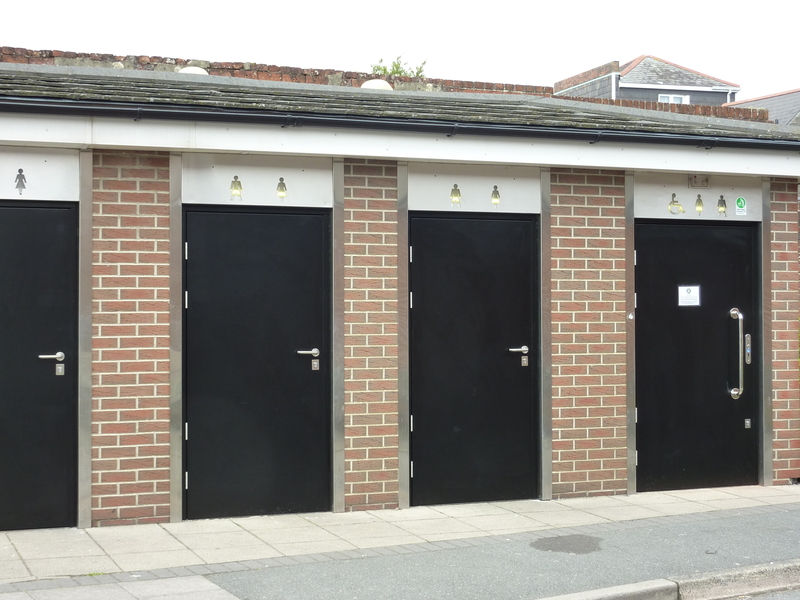 Taking on responsibility for the public conveniences in Cowes was the only option available to the Town Council to stop the facilities being closed. Opening times: Toilets are locked overnight. 9pm in the summer (1/4 – 30/9) and 6pm in the winter (1/10 – 31/3). The Town Council pays for the cleaning at the public conveniences in the grounds of Northwood Park. These are locked at night over the summer, and closed all winter (1 October – 31 March). 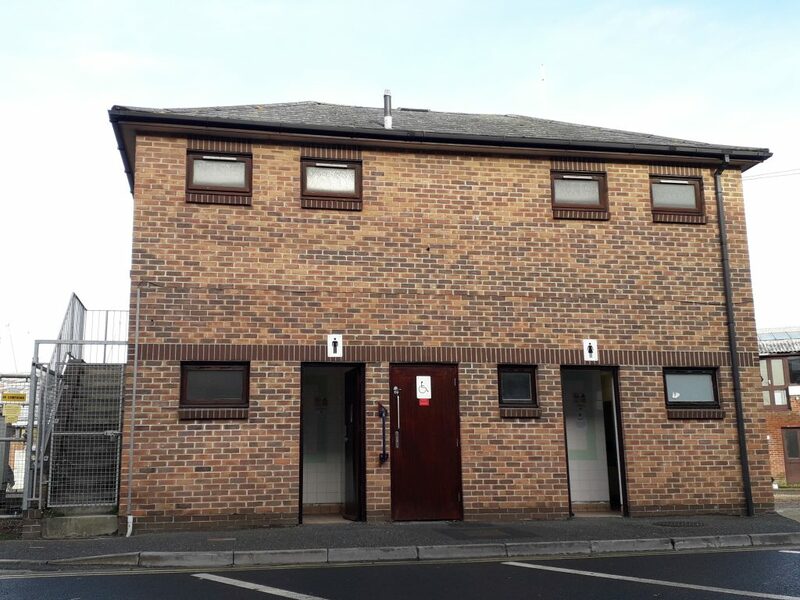 The toilets were not in a good state of repair when responsibility for them passed to the Town Council and a working group was established to compile a programme of improvements. A number of repairs were carried out to get the toilets into working order while longer-term improvements could be planned and budgeted for. Unfortunately the toilets are subjected to ongoing acts of vandalism, requiring additional frequent repairs, including repairing broken windows and doors, fire damage and broken toilet roll holders. This adds to the pressure on our budget and staffing resources. In 2018 the Town Council increased its staffing resources and budget to enable repairs and improvement works to be programmed. 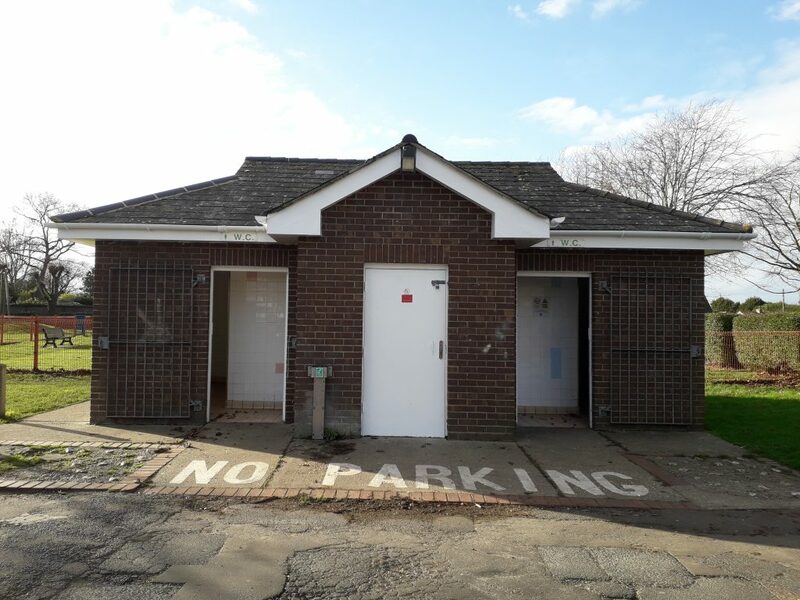 Replace the roof at The Parade public conveniences – these works are currently being undertaken with an estimated completion date of Easter 2019. 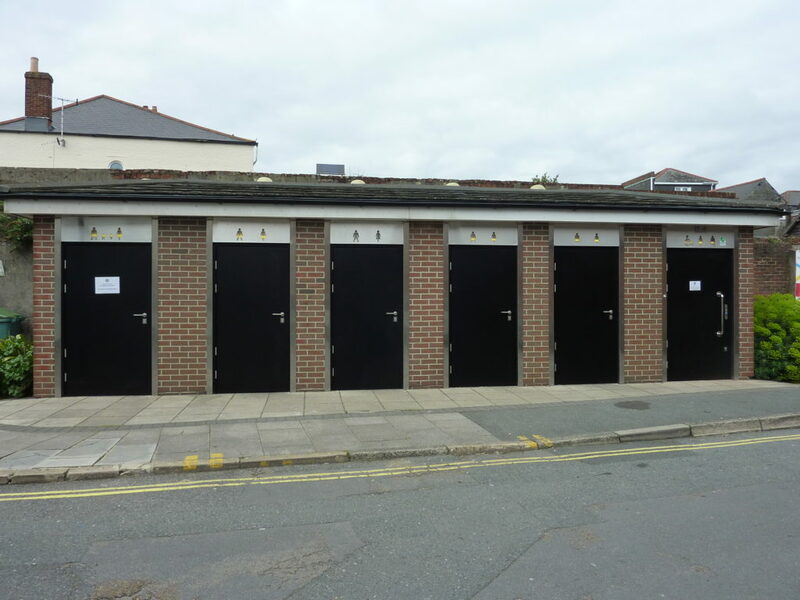 Replace the doors at The Cut public conveniences – completed April 2018. Decorate and repair broken tiles at The Parade, Medina Road, Mornington Road and Northwood Recreation Ground – completed January 2019. The Town Council commissioned a building survey on The Parade public conveniences to ascertain the condition of the building. The survey found the roof to be in a very poor condition. Christopher Scott Surveyors were contracted to produce a specification for the repairs identified, assist with the compiling of tender documents, and to manage of the project through to completion. Emerald Construction (IW) Ltd have been contracted to undertake the works and work commenced on site on Wednesday 27 February 2019. We hope to be completed by Easter 2019 – outside of the main tourist season to minimise disruption to users. The public conveniences will be unavailable for the duration of the works. The original wooden doors at The Cut were the victim of repeat acts of vandalism and had reached the end of their viable lives. All six cubicle doors were replaced with steel doors in April 2018, which has significantly improved the facility. We also arranged for the polymer resin pans and handwashing stations to be abrasively cleaned to remove staining and fire damage. An additional baby changing unit was provided in the far left cubicle, which is a larger ‘family sized’ facility, to enable those without a RADAR key to access baby changing facilities. Unfortunately this cubicle sustained significant fire damage as a result of arson in December 2018 and is currently locked off pending refurbishment. There is a baby change facility in the Accessible cubicle on the far right – accessed using a RADAR key. A RADAR key may be borrowed from the nearby Tourist Information Centre (during opening hours). The public conveniences at The Parade, Mornington Road, Medina Road and Northwood Recreation Ground have been decorated throughout the months of October, November and December 2018. 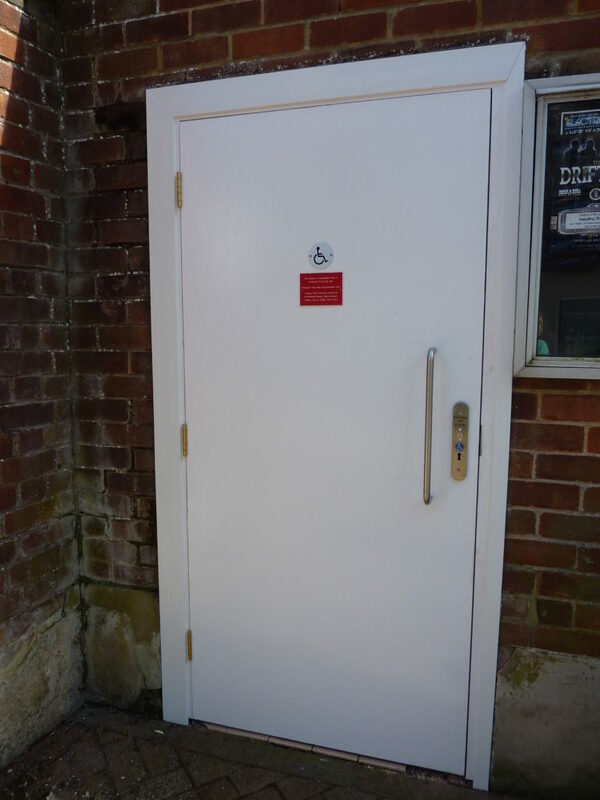 New outward-opening doors have been fitted at The Parade, Mornington Road and Medina Road to improve the internal space for users. Our hand washing stations are also coming to the end of their viable lives and a programme of replacements is under consideration. The first cubicle at The Cut public conveniences is closed due to fire damage. The Parade public conveniences are closed for the repairs to the roof and internal ceiling which commenced on Wednesday 27th February for approximately seven weeks. We hope to reopen the facilities by Easter. The nearest public conveniences are situated at Mornington Green to the west, and The Cut to the east. Thank you for your patience while the repairs are being undertaken. We apologise for any inconvenience.